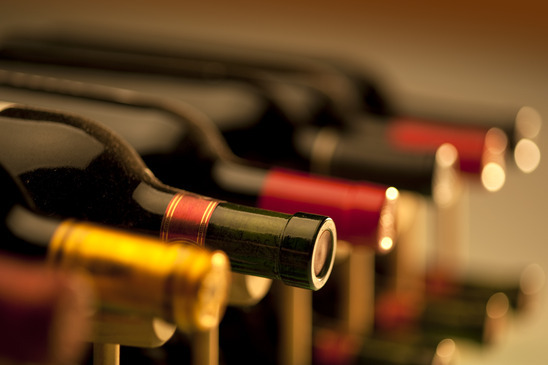 Once your collection has grown large enough to invest in a wine cooler, you’ll likely have two questions top of mind. Which wine cooler best suits your needs? And once you’ve selected the right one, is there anywhere you shouldn’t put it? Selecting a wine cabinet or wine cooler is mostly a matter of personal preference and will depend on your aesthetic and desired capacity. And since a high-quality wine cooler will maintain a steady temperature, low vibration and prevent excessive light exposure, you can put it almost anywhere. Almost. Several locations have conditions that could negatively affect the quality of your collection. Read on to learn the best and worst places for a wine cooler in your home. WineSpectator.com points out that sunlight deteriorates wine and even electric lights can cause labels to fade. So be sure the sun won’t shine into your cooler at any point during the day, keeping in mind that the sun shifts seasonally. Also avoid locations where strong lights will be on for hours each day. “Wine Doctor” Chris Kissack says being a few degrees off from the ideal storage temperature isn’t likely to hurt wine. It’s extreme temperature fluctuation that causes rapid deterioration. So don’t put your cooler where it will struggle to keep the temperature constant, such as a patio or a porch where it may be close to freezing at night or too hot during the day. Finally, make sure the system has proper ventilation. Built-in wine refrigerators typically have ventilation in front, so can be placed almost anywhere. Freestanding wine coolers with back or side ventilation should have about two inches of empty space on all sides. As long as you avoid the “problem locations” your options are pretty open and include the following. BetterTastingWine.com notes the ideal temperature for serving sweet wines can be as low as 43 degrees Fahrenheit, while the ideal temperature range for a wine cellar is 50 to 55 degrees. The best temperature to serve wine varies depending on the varietal. Because of these differences, some people keep a small wine cooler in the cellar to have a few bottles ready to serve at all times. Note that any heat produced by your cooler will work against the refrigeration system that controls and maintains the cellar temperature. So make sure your refrigeration system takes this additional heat load into account. If your cellar does not have a refrigeration system, pay attention to the heat produced by the cooler, and make sure it doesn’t increase the temperature of the cellar above your desired level. This is one of the most popular places, for obvious reasons. Your wine is conveniently available for serving guests and even for your own enjoyment as you prepare meals. There are even small wine coolers that will fit on the countertop. 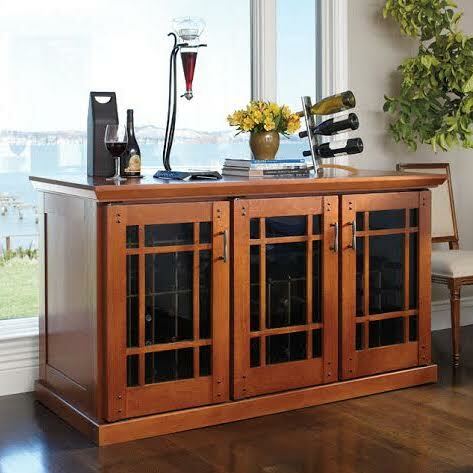 Your dry bar or wet bar is a natural place for a small wine cooler. You could use a small unit here for serving while keeping a larger cooler stocked elsewhere. When you and your dinner guests run out of wine, you can conveniently turn around and reach for a new bottle without leaving the room. If you have a two-story home, you might have room under the stairs to put a small cooler. Dress up the space a bit and it can be your mini-wine cellar. An unfinished basement may be a good place to store wine, and you may have enough space for large coolers that can accommodate your entire collection. If you’re more ambitious, you can renovate the basement to make it into a wine tasting room. If most of your entertaining is done in the living room, this can be a great location for a freestanding wood-and-glass climate-controlled wine cabinet. Your collection may be the centerpiece of the room, and it will be easily accessible. Outdoor wine coolers on a patio or porch (or a “lanai” as they call it in Florida) can keep the wine right where you want to enjoy it. Just be sure to avoid direct sunlight, and get a unit that’s up to the challenge of maintaining the proper temperature in a changing climate. A countertop cooler can be used if you want to easily move it inside and outside seasonally. A good wine cooler in the perfect location is a great addition to your home decor, and a great way to keep your favorite bottles of wine right where you want them. About the author: Steve Gillman’s articles appear on a variety of blogs and websites, and he enjoys a good bottle of wine almost as much as he enjoys writing. 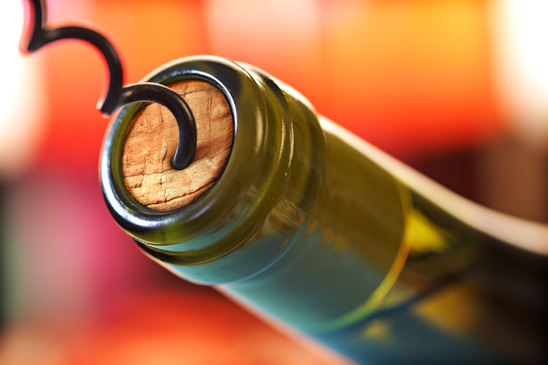 Wine Corks vs. Screw Caps: Which Closure is Better? I enjoyed your article, it was quite informative. We have a wet bar in our Condo in which we have installed a wine cooler. The unused cabinet space that was there initially now serves a much better purpose! Thanks for the article! Nice post. I think people forget the “rules” about wine when it comes to wine coolers….they all apply. As you pointed out about light, temp, etc these basic wine rules don’t disappear just because you have a cooler. Wine makers take the time and effort to store the wine properly so should the consumer.